Keep your sleepy baby nice and comfy with this handy, lightweight travel bassinet. The durable and safe design sets up and folds down in seconds. 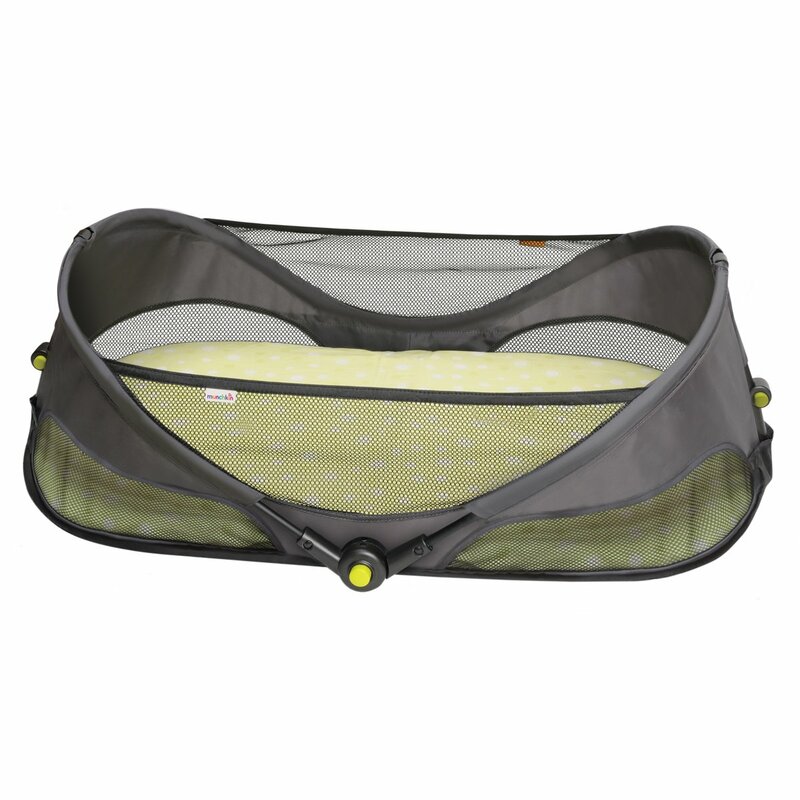 No need to plan your day around naptime with the Munchkin Fold ‘n Go Travel Bassinet. Light, durable, and safe, this bassinet is super easy to pack and carry-and set up is so simple that you can have naptime anytime. Whether your plans include a picnic, a cross-country adventure, or just coffee with friends, you can be secure knowing that your most important priority is safe and snug with you. Product features; Updated design with mesh panels, breathable fabric, and a locking frame provides both comfort and peace of mind, Four-point Safe-T-Lock System for safety and security,double locking tubular steel frame is strong and durable, mesh panels provide air flow for maximum comfort, mattress is removable and sheet is machine washable for easy cleaning. Updated design with mesh panels, breathable fabric, and a locking frame provides both comfort and peace of mind.